One of the first stumbling blocks that Westerners often encounter when they learn about Buddhism is the teaching on anatta, often translated as no-self. This teaching is a stumbling block for two reasons. First, the idea of there being no self doesn't fit well with other Buddhist teachings, such as the doctrine of kamma and rebirth: If there's no self, what experiences the results of kamma and takes rebirth? Second, it doesn't fit well with our own Judeo-Christian background, which assumes the existence of an eternal soul or self as a basic presupposition: If there's no self, what's the purpose of a spiritual life? Many books try to answer these questions, but if you look at the Pali Canon -- the earliest extant record of the Buddha's teachings -- you won't find them addressed at all. In fact, the one place where the Buddha was asked point-blank whether or not there was a self, he refused to answer. When later asked why, he said that to hold either that there is a self or that there is no self is to fall into extreme forms of wrong view that make the path of Buddhist practice impossible. Thus the question should be put aside. To understand what his silence on this question says about the meaning of anatta, we first have to look at his teachings on how questions should be asked and answered, and how to interpret his answers. The Buddha divided all questions into four classes: those that deserve a categorical (straight yes or no) answer; those that deserve an analytical answer, defining and qualifying the terms of the question; those that deserve a counter-question, putting the ball back in the questioner's court; and those that deserve to be put aside. The last class of question consists of those that don't lead to the end of suffering and stress. The first duty of a teacher, when asked a question, is to figure out which class the question belongs to, and then to respond in the appropriate way. You don't, for example, say yes or no to a question that should be put aside. If you are the person asking the question and you get an answer, you should then determine how far the answer should be interpreted. The Buddha said that there are two types of people who misrepresent him: those who draw inferences from statements that shouldn't have inferences drawn from them, and those who don't draw inferences from those that should. These are the basic ground rules for interpreting the Buddha's teachings, but if we look at the way most writers treat the anatta doctrine, we find these ground rules ignored. 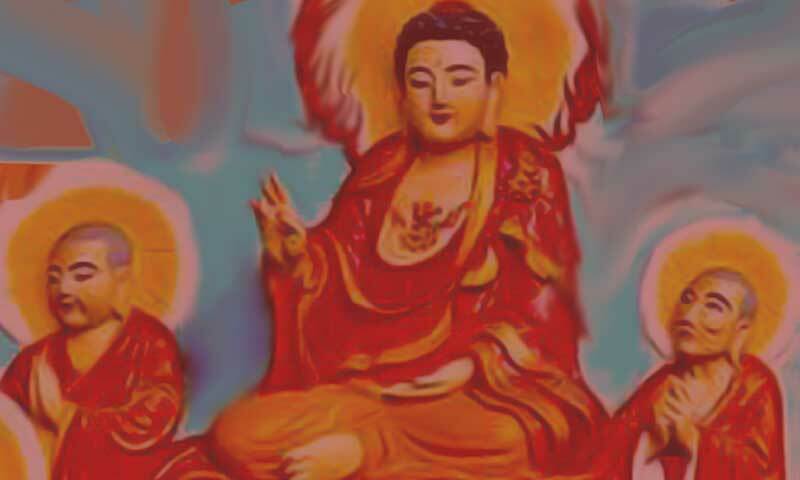 Some writers try to qualify the no-self interpretation by saying that the Buddha denied the existence of an eternal self or a separate self, but this is to give an analytical answer to a question that the Buddha showed should be put aside. Others try to draw inferences from the few statements in the discourse that seem to imply that there is no self, but it seems safe to assume that if one forces those statements to give an answer to a question that should be put aside, one is drawing inferences where they shouldn't be drawn. So, instead of answering "no" to the question of whether or not there is a self -- interconnected or separate, eternal or not -- the Buddha felt that the question was misguided to begin with. Why? No matter how you define the line between "self" and "other," the notion of self involves an element of self-identification and clinging, and thus suffering and stress. This holds as much for an interconnected self, which recognizes no "other," as it does for a separate self. If one identifies with all of nature, one is pained by every felled tree. It also holds for an entirely "other" universe, in which the sense of alienation and futility would become so debilitating as to make the quest for happiness -- one's own or that of others -- impossible. For these reasons, the Buddha advised paying no attention to such questions as "Do I exist?" or "Don't I exist?" for however you answer them, they lead to suffering and stress. To avoid the suffering implicit in questions of "self" and "other," he offered an alternative way of dividing up experience: the four Noble Truths of stress, its cause, its cessation, and the path to its cessation. Rather than viewing these truths as pertaining to self or other, he said, one should recognize them simply for what they are, in and of themselves, as they are directly experienced, and then perform the duty appropriate to each. Stress should be comprehended, its cause abandoned, its cessation realized, and the path to its cessation developed. These duties form the context in which the anatta doctrine is best understood. If you develop the path of virtue, concentration, and discernment to a state of calm well-being and use that calm state to look at experience in terms of the Noble Truths, the questions that occur to the mind are not "Is there a self? What is my self?" but rather "Am I suffering stress because I'm holding onto this particular phenomenon? Is it really me, myself, or mine? If it's stressful but not really me or mine, why hold on?" These last questions merit straightforward answers, as they then help you to comprehend stress and to chip away at the attachment and clinging -- the residual sense of self-identification -- that cause it, until ultimately all traces of self-identification are gone and all that's left is limitless freedom. In this sense, the anatta teaching is not a doctrine of no-self, but a not-self strategy for shedding suffering by letting go of its cause, leading to the highest, undying happiness. At that point, questions of self, no-self, and not-self fall aside. Once there's the experience of such total freedom, where would there be any concern about what's experiencing it, or whether or not it's a self? One of the first stumbling blocks that Westerners often encounter when they learn about Buddhism is the teaching on anatta, often translated as no-self. This teaching is a stumbling block for two reasons. First, the idea of there being no self doesn't fit well with other Buddhist teachings, such as the doctrine of kamma and rebirth: If there's no self, what experiences the results of kamma and takes rebirth? Second, it doesn't fit well with our own Judeo-Christian background, which assumes the existence of an eternal soul or self as a basic presupposition: If there's no self, what's the purpose of a spiritual life? Many books try to answer these questions, but if you look at the Pali Canon -- the earliest extant record of the Buddha's teachings -- you won't find them addressed at all. In fact, the one place where the Buddha was asked point-blank whether or not there was a self, he refused to answer. When later asked why, he said that to hold either that there is a self or that there is no self is to fall into extreme forms of wrong view that make the path of Buddhist practice impossible. Thus the question should be put aside. To understand what his silence on this question says about the meaning of anatta, we first have to look at his teachings on how questions should be asked and answered, and how to interpret his answers. Source: Copyright © 1997 Thanissaro Bhikkhu. The author gives permission to re-format and redistribute his work for use on computers and computer networks, provided that you charge no fees for its distribution or use. Otherwise, all rights reserved.